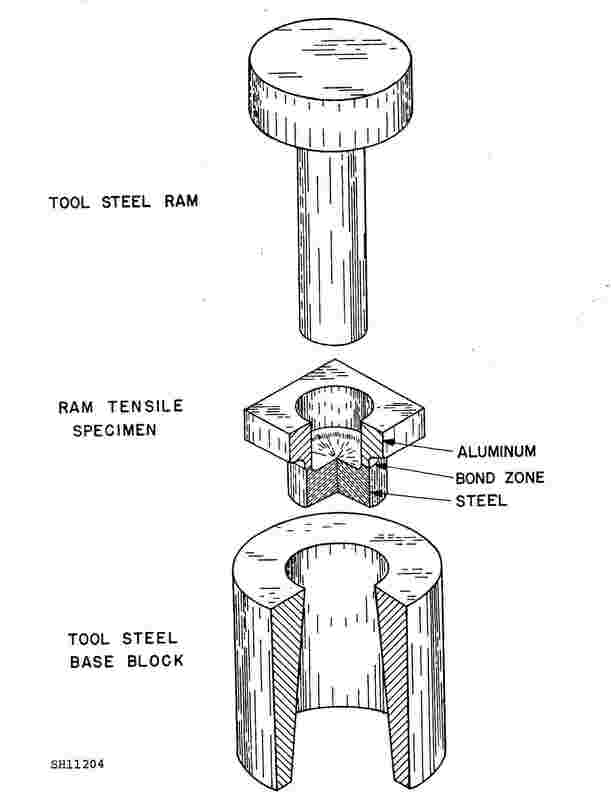 The standard mechanical test that HEMI uses to determine bond strength is the ram-tensile test. Shown in the schematic below, a specimen is machined from a bonded plate with a hole through the bond on one side. The opposite side has a larger diameter turned through the bond. This allows the specimen to sit in the testing fixture and the ram pressure forces apart the bond in tension. 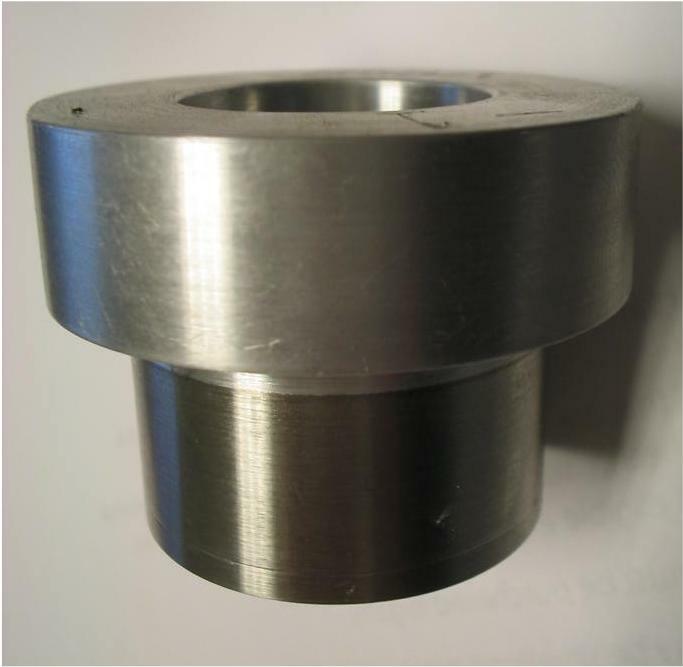 A before and after picture of an aluminum/stainless sample is shown in Figures 1 and 2. 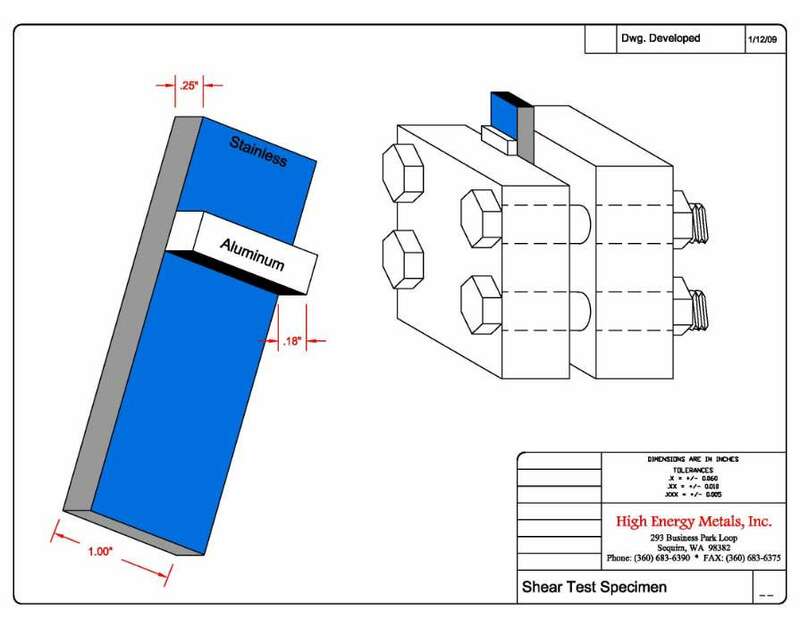 Shear testing is also performed at HEMI to determine a shear strength of the clad material. This can be difficult with very thin clads (<.062") but the test specimen and fixture shown in Figure 3 are easily fabricated and give reliable accurate results.